Following the usual Christmas over-eating and weight gain, I am ready to take action. 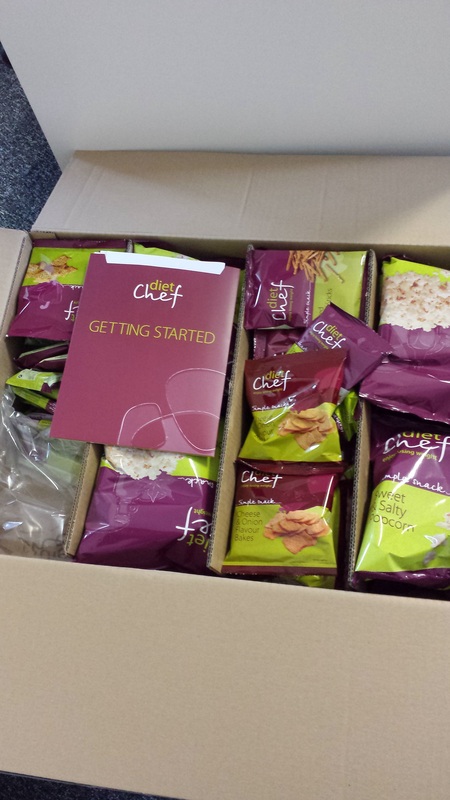 So after much research I signed up for Diet Chef calorie counted and portion controlled meals delivered to your home. With a choice of breakfasts, lunches, snacks and dinners, all for less than 1,200 calories per day. I was so excited when my box was delivered to the office although the packaging didn’t make the meals look appetising. However the food is pre-cooked sous vide, which means it is fresh and doesn’t need refrigerating or freezing. The vacuum pack retains the goodness. So far a muesli bar breakfast, carrot and coriander soup lunch, popcorn snack and macaroni cheese dinner have been eaten and much appreciated. Delicious and tasty. Admittedly the pasta was far from al dente but I love it that way, soft and easy to eat! In addition you can eat fruit, vegetables and/or salad. Will keep you up-to-date with my progress…..start weight is an embarrassing 11st 2lbs, yikes! This entry was posted in FAB Health, FAB Nutriton, FAB Weight Loss and tagged Diet, Easy, healthy-living, nutrition, Slimming. Bookmark the permalink.